Founded in 1919 by W. O. Bentley, Bentley Motors is a British luxury automaker renowned for its meticulous craftsmanship and engineering. Bentley cars are methodically engineered and mostly built by hand often incorporating fine wood interior panels. Due to financial difficulties in the wake of the stock market crash of 1929, Bentley was acquired by famed automaker Rolls-Royce in 1931. Bentley is now owned by the German automaker Volkswagen, but still retains its distinct image and has had a recent resurgence in popularity due in no small part to the introduction of the Continental GT in 2003. Even though Bentley had a rich history in the racing world, its production cars had the image of being stuffy and old-fashioned. The sporty Continental GT changed all that and soon sales skyrocketed. 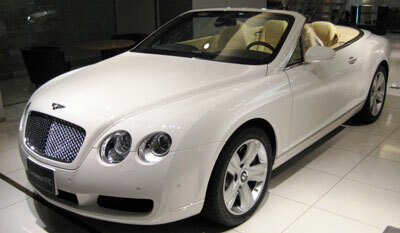 Why Pay More At the Dealer for Your Bentley Auto Repairs? But even prestigious, luxury brand automobiles like Bentley need preventative maintenance and service to keep them running smooth and trouble free. So whether you own a beautiful Bentley Continental or an exquisite Bentley Azure, Foreign Auto Services and their expert service technicians can trouble shoot and repair all Bentley makes and models. From brake repair to transmission problems, Foreign Auto Services in Palm Beach County has you covered.